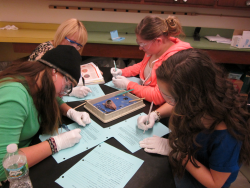 This is a college preparatory program designed for students who plan to further their knowledge in the health care field. All students will receive nursing assistant training. Seventy hours will be spent caring for patients in a local nursing home and a hospital. As this is a state certified CNA Program, good attendance is important to meet the licensing requirements. Those who sucessfully complete the program are eligible to take the state nursing assistant exam and become certified nursing assistants. 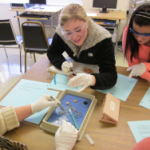 A course in anatomy and physiology is also provided. Students will study nutrition, CPR, first aid, growth & development and human behavior. A total of 4 credits are awarded which include 2 credits in Anatomy and Physiology.